With some years of loss data collection now achieved, directors and regulators are expecting more and better use of it. 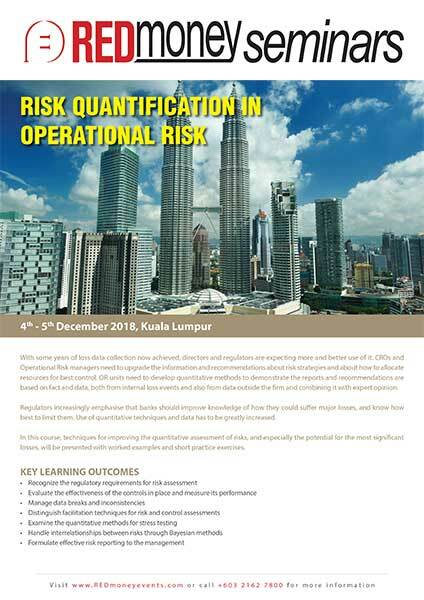 CROs and Operational Risk managers need to upgrade the information and recommendations about risk strategies and about how to allocate resources for best control. OR units need to develop quantitative methods to demonstrate the reports and recommendations are based on fact and data, both from internal loss events and also from data outside the firm and combining it with expert opinion. Regulators increasingly emphasise that banks should improve knowledge of how they could suffer major losses, and know how best to limit them. Use of quantitative techniques and data has to be greatly increased. In this course, techniques for improving the quantitative assessment of risks, and especially the potential for the most significant losses, will be presented with worked examples and short practice exercises. * All Topics will be illustrated with real examples. In addition * marks topics that will be supported by Case Studies, Examples, and Practical Exercises.